Cheryl Barnes presents 1330 Creekside Trail from Realfoto on Vimeo. 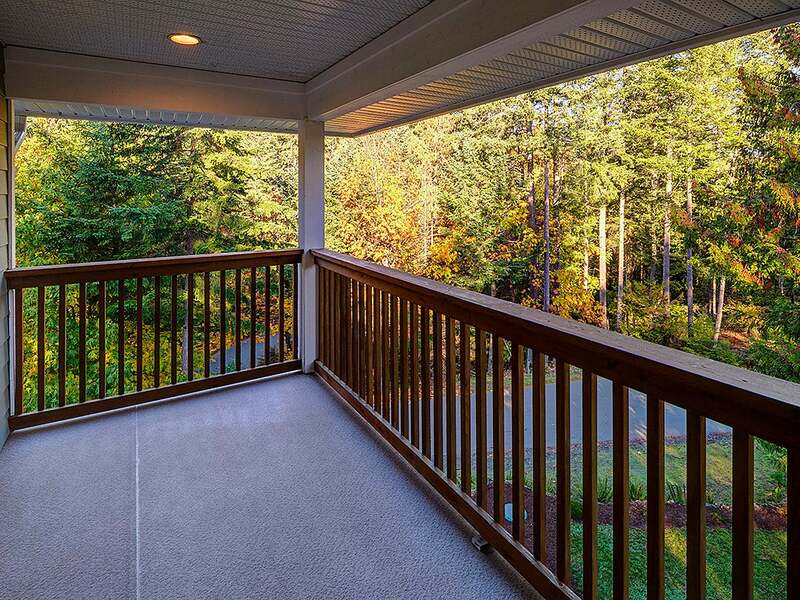 WELCOME TO 1330 CREEKSIDE TRAIL - A LOVELY ONE ACRE PROPERTY IN THE WESTSHORE! 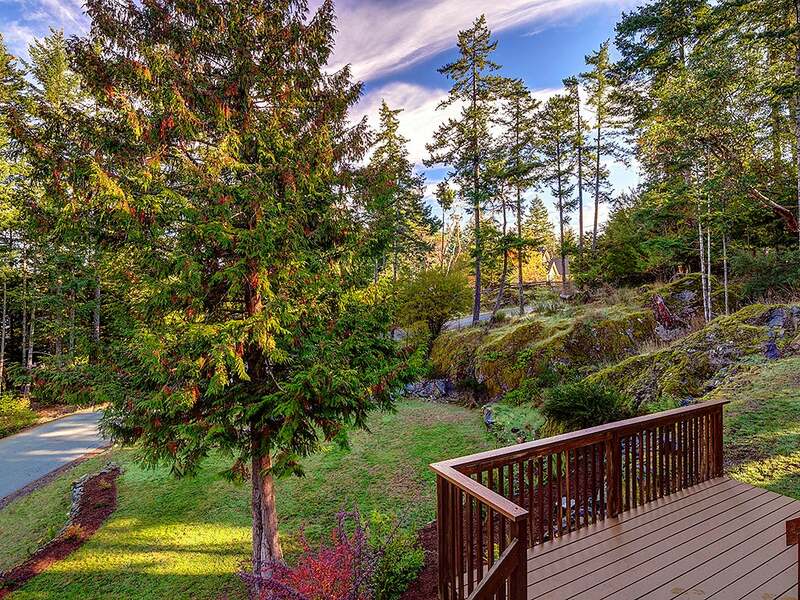 This spacious 3308 sq ft family home is nestled on a landscaped lot with lovely picturesque outcroppings reminiscent of an enchanted forest, on a quiet street steps to local trails and parks. Creekside Trail and its neighboring acreages now benefit from the adjacent developments in the area making them super close to the local community with a newly created access through the Westhills Community, surely making this home and area appealing as a large family home on an acre of property in the city, virtually unheard of in today's housing market. This custom built home features 5 bedrooms and 3 bathrooms over 3300 square feet. The spacious open concept main floor living space is ideal for entertaining with its access to sunny patio decks. This level features a 2 story great room with a cozy beach rock faced gas fireplace and gleaming hardwood floors. The chef inspired kitchen features a tile back splash, stainless steel appliances and a handy eating nook with a bay window view of the green - scape. The kitchen features an abundance of maple cabinetry, easy care ceramic tile floors and new granite countertops too! There is also a formal dining area, family room, and living room on this floor. The main living floor also features a large bedroom with a closet adjacent to super huge laundry area. This area of the home was built to facilitate a future nanny suite if desired, as there is plenty of room. There is also a 4 piece bath nearby! The upper level of this home features a king sized master suite with its own private balcony for evening tea, plus a huge walk in closet and a 4 piece spa inspired ensuite with soaker tub and walk in shower, nicely updated with granite countertops and travertine tub surround tiles. There are two more bedrooms and an office space, as well as another private bedroom balcony, another 4 piece bath and a spacious landing at the top of the stairs. The man of the home will love the super huge 880 sq ft double car garage and work shop area, as well as the abundance of storage space in the 660 sq ft heated crawlspace area. 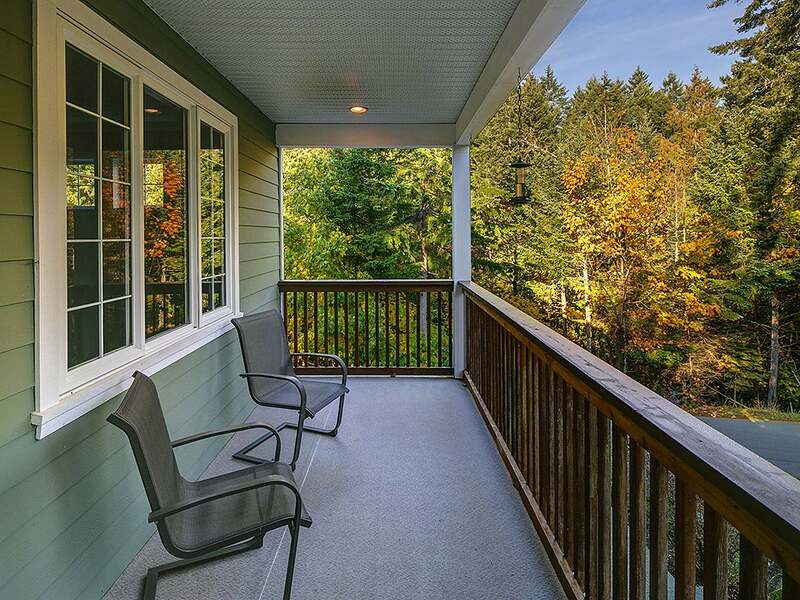 This home offers endless space for a family looking for close proximity to local Westshore schools and amenities such as the YMCA, local music center and pool, shopping and more. Drop by to see this home today - it could well be the home of your dreams!